2012 in Hinduism, Hindu Astrology, beliefs, and predictions is the buzz word among the Hindus and other people around the world who believe Hinduism. Will the world end in 2012? What Hindu astrologers say about 2012 and the end of the world on 21 December 2012? There are a lot of prophecies, predictions, and imaginations are going around the year 2012. As per Mayan calendars, the world will end on 21 December, 2012. But what Hinduism and Hindu astrology predicts and reacts on this issue. Read on to know about the predictions or clarifications given by reputed Hindu Astrologers of India. As per Hinduism, our Maharshi or Rushis divided our time into four Mahayugas – Kruta Yugam, Treta Yugam, Dwapara Yugam, and Kali Yugam. ‘Yuga Pramanam’ is the time duration of a Mahayugam. The below given statistics describe the Yuga Pramanam of each Mahayuga. Our great Vedas state that there would be a Sandhi (gap) between each Yuga which is known as Yuga Sandhi. During this, every living thing will be destroyed and the evolution process restarts after the Yuga Sandhi. Our Earth may exist for more than 4,26,902 years as per the calculation above. Definitely, the Earth will be doomed one day but not December 21, 2012. The Dooms Day of the Earth may not come before next 4 Lakh and odd years. Sri Butte Veerabhadra Daivagna, renowned astrologer and Panchanga Kartha based at Andhra Pradesh, states: “We cannot deny the possibilities of natural disasters in and the surrounding places of Mayans on December 21, 2012, but the day will not be the Dooms Day for the Earth”. 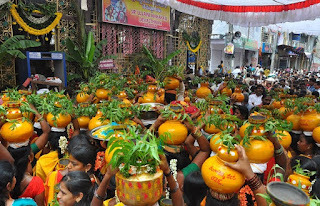 Sri Butte Veerabhadra Daivagna is the famous Jyotish based at Rajahmundry and he is the Asthana Jyothish for Srisailam Bramaramba Mallikarjuna Swamy Temple in Andhra Pradesh. He is also honored with many national and international awards related to Hindu Astrology. Many famous astrologers based at Hyderabad, Andhra Pradesh, including Sri Mulugu Ramalingeshwara vara Prasad, Sri P. Giri Raju Siddhanti, Sri Srinivasa Gargeya, Sri Annaparty Krishna Sharma Siddhanti, and Sri Vakkantham Chandramouli denied the end of the world in 2012.